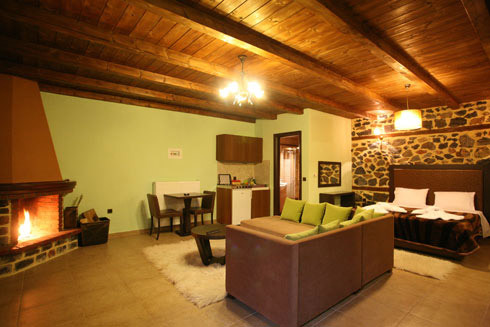 Piperitsa guesthouse was built in 2007 according to the traditional architecture of the village of Old Agios Athanasios on Kaimaktsalan Mount. 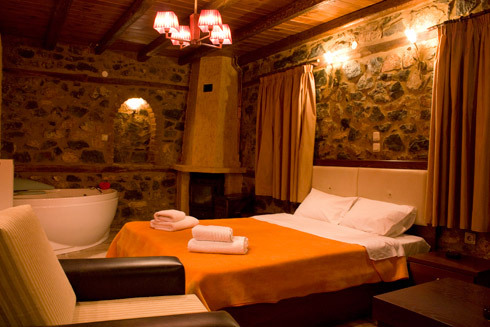 It consists of 5 double rooms, 4 mini suites and 6 suites with whirlpool tub. All rooms have a fireplace, satellite TV and shower cabins with power shower. 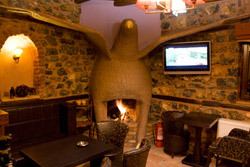 In the hostel you will also find a bar, TV room, breakfast room, and BBQ, Jacuzzi, spa and sauna. 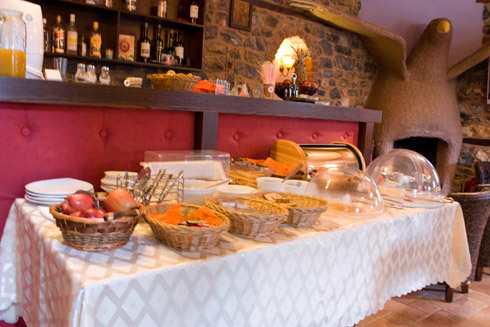 The owner of Piperitsa guesthouse will suggest 4x4 routes and he will provide all possible assistance for skiing and snowmobile, which you can enjoy at the ski center of Kaimaktsalan or Voras. 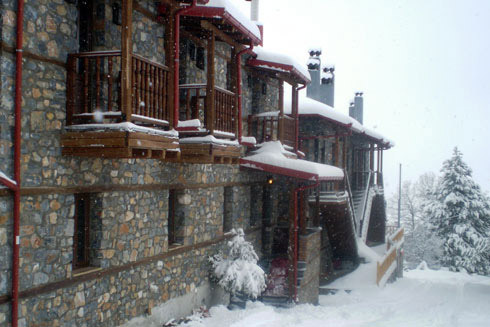 During your stay at Piperitsa guesthouse, you can spend your time skiing at Ski resort of Kaimaktsalan, hiking, horseback riding, boating in Vegoritida Lake and trips to nearby places like Loutraki, Loutra Pozar, Nymfaio, St. Panteleimon and Edessa, the capital of the prefecture.